Patricia Fulton lives with her husband and two kids in Roswell, Georgia. She lived in Texas during the 1998 drought and witnessed Lake Arlington evaporate. The heat left a lasting impression. She holds a Masters Degree in Professional Writing from Kennesaw State University. Her creative nonfiction has won three awards and her story, 612 West Maitland was selected for publication in O’ Georgia! A Collection of Georgia’s Newest and Most Promising Writers. The DROUGHT is her first novel. Can a baseball have a destiny? 1975, Game 6, bottom of the twelfth – the ball should have gone foul but it didn’t. It stayed fair. Thirty years later, in the town of Junction, Texas, Luke Casteel crawls into a drainage pipe to retrieve a baseball stolen from Griffin Tanner’s private collection. He doesn’t come back. That day three lives change forever. One boy is dead, one struggles for his life and Jared Riley is thrust into a world where he must face an ancient evil. Written with a blend of quirk and suspense that keeps the pages turning, a historic baseball moment is woven into a supernatural thriller with an unexpected ending. 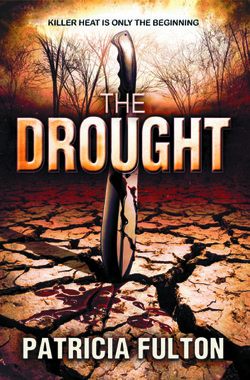 Driven by strong characters and a twisting plot, The Drought by Patricia Fulton delves into the supernatural world where ghosts roam the landscape and a voodoo curse floats on the wind. Check out this hauntingly well-crafted Best Indie Book of 2012 Semifinalist.